This 7-night cruise along the Douro River Valley is both a journey and an immersion into one of Europe’s least explored wine regions. The Portuguese and Spanish wines of the Douro and “La Ribera” regions are elegant, underrated and inexpensive. The “quintas” and bodegas here produce superb reds and vibrant white wines, along with the ruby and tawny port wines sold the world over. Visit beautiful Porto and the charming villages of Regua, Lamego, Pinhao and Castelo Rodrigo. Stroll through Salamanca Spain, home to one of Europe’s oldest and greatest universities. Explore northern Portugal’s Douro River Valley wineries, cuisine and sightseeing with your hosts Suzanne, Micole & Teri. Sample best wines in contrast with local vintages paired with fine regional cuisine. Join the vintner-proprietors of Vineyard Grant James and Ramona Ranch Vineyard & Winery on Portugal’s Douro River, sailing from Porto to Spain and back again. Special events are included for our group members. An optional pre-cruise tour of Lisbon is highly recommended to enhance your Portuguese experience. 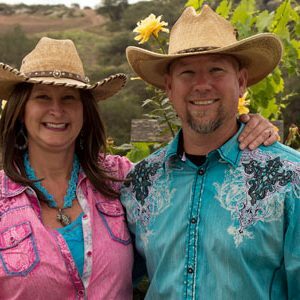 Micole Moore and Teri Kerns moved to Ramona in 2004, with the intention of raising chickens. They discovered that growing wine grapes could be both attractive and profitable. In 2006, the Ramona Valley was designated an AVA (American Viticultural Area). Micole and Teri jumped into the moment, planted vineyards and began making their own red wines, including Cabernet Sauvignon, Syrah, Temperanillo, Sangiovese, Merlot and Tannat, the varietal native to Portugal. 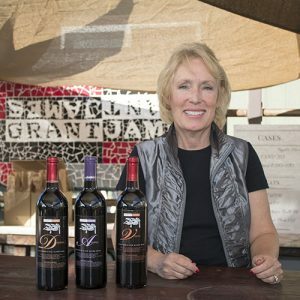 Today, their Ramona Ranch Winery is San Diego County’s only CSWA Certified California Sustainable vineyard and winery and the Ramona Valley’s #1 rated Tasting Room. Micole and Teri look forward to this voyage of discovery on Portugal’s Douro River, where the steep hillsides were first planted with wine grapes by the Romans, some 2,000 years ago. 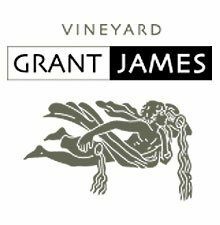 Join the vintner-proprietors of Vineyard Grant James and Ramona Ranch Vineyard & Winery on Portugal’s Douro River, sailing from Porto to Spain and back again. Special events are included for our group members.